Custom Store Header, Custom Logo, Categories, Custom Invoice Logo, Profile Logo, About and Store Policy page. Alice is an avid cross-stitcher who also loves rabbits. She wanted a site that reflected her love of crafting and rabbits. 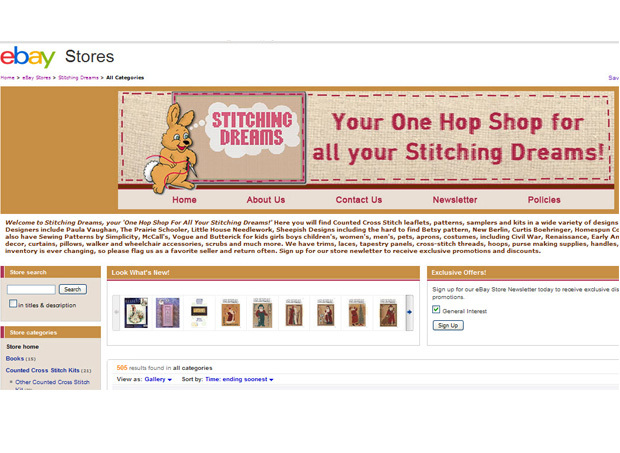 Stitching Dreams was born.